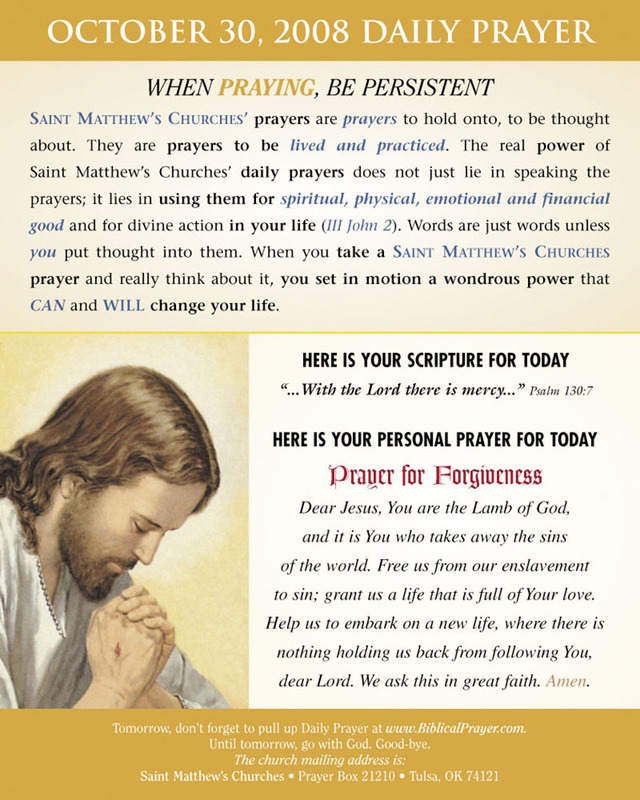 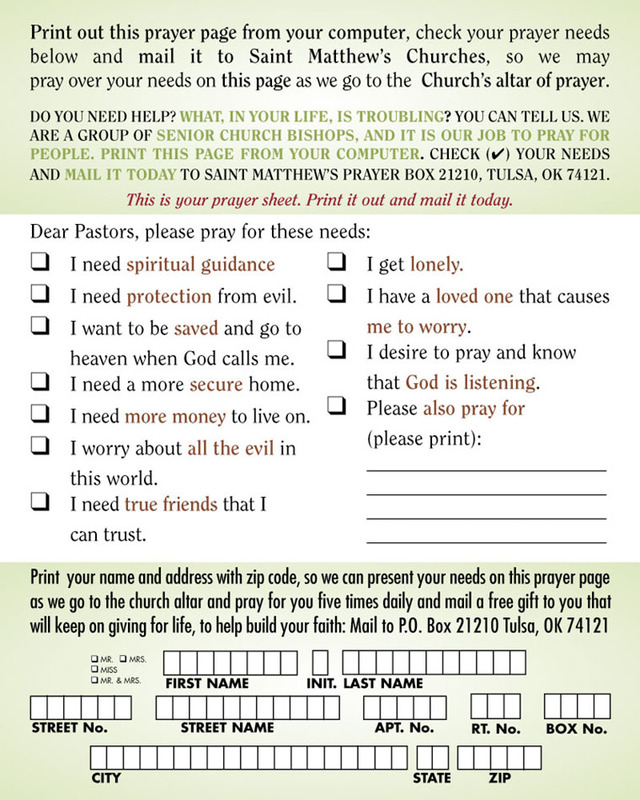 To submit your prayer requests to Saint Matthew's Churches, be sure and scroll to the bottom of this page. 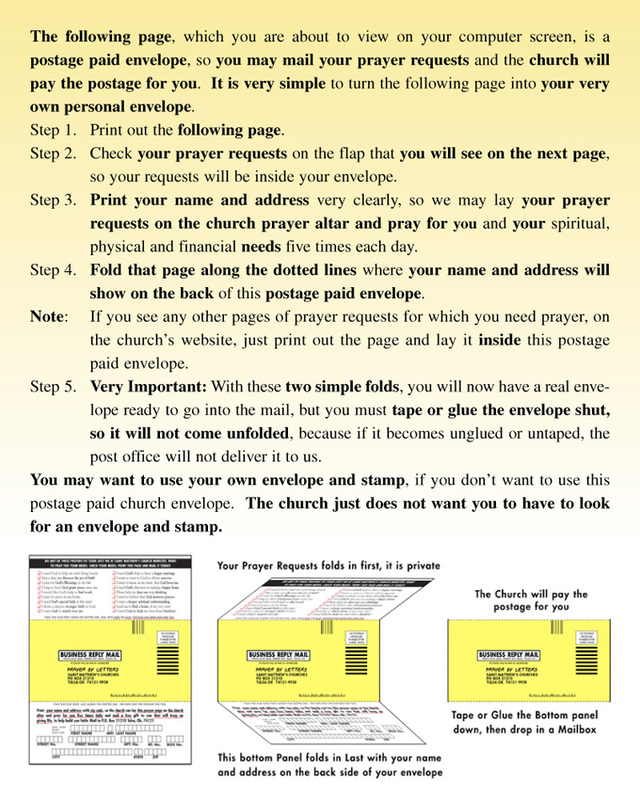 CLICK HERE to print the following postage paid envelope. 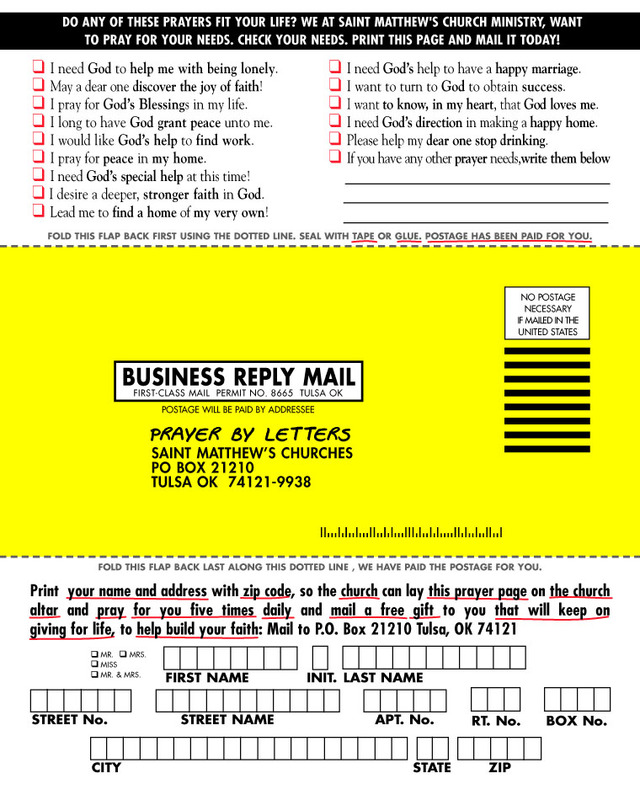 CLICK HERE to print the following prayer sheet.